Health is one of the twelve central megatrends identified by the Frankfurt Future Institute’s Food Report 2018. A healthy lifestyle is important to all age groups, and nutrition plays a major role alongside various other components. Using its new premix for healthy bones and heart as an example, SternVitamin shows how beverage manufacturers can address the topic of health and turn a profit. This micronutrient mix picks up on one of the top trends in the beverage market – water-based enriched products. Worldwide, this is the beverage category with the highest growth potential, even higher than other categories. The vegan premix contains vitamins B1, B12, C, K2 and D3. Organic agave syrup powder gives it a slight sweetness, while natural flavours give the drink a “dark berry” taste. It dissolves clear in water and leaves no turbidity. This new micronutrient beverage premix is just one example of many different target group concepts that address different life phases of consumers, from childbearing and pregnancy to school, study, professional life and senior years. A targeted micronutrient mix for vegans with higher vitamin B12 content is also a possibility, as this nutrient occurs in meaningful quantities only in animal products. Currently there is no plant source of B12. To prevent deficiencies, the German Nutrition Society (DGE) advises all vegans to take vitamin B12 supplements. The SternVitamin Premix for Vegans is one way to do this. Along with vitamins B12, B2 and D, it provides the appropriate amounts of iron, zinc, calcium, iodine and selenium. It also contains the amino acid lysin, which occurs in only small amounts in plants. The U.S. Food & Drug Administration (FDA) goes a step further and recommends that all best agers (50 and older) take supplements or eat foods with added vitamin B12. Women of childbearing age are advised to eat foods naturally rich in or with added iron. Simultaneous intake of vitamin C is necessary to help the body absorb the iron. This is easy to do with tailored micronutrient mixes. Alongside its target-group-specific premixes, SternVitamin also offers marketing support. 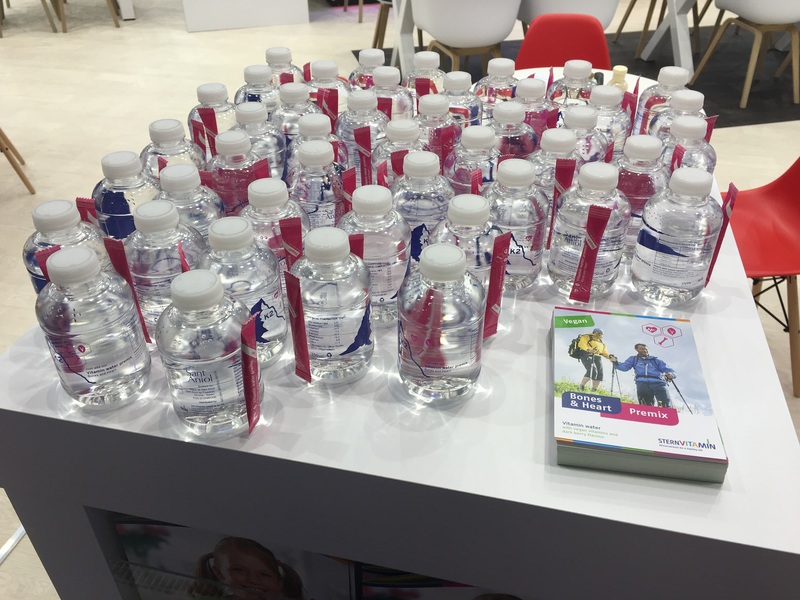 The company shows how EU-approved health claims can be used on the final drink packaging for effective marketing. For example, if the product contains enough of the respective micronutrients the packaging can have statements that vitamin D is important for growth and bone development in children, or that vitamin B1 contributes to normal heart functioning.